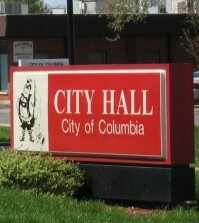 Columbia has been awarded a $400,000 grant from the state to develop a park at the north end of town. Nearly 90 projects were awarded a total of $28.9 million this week from the state of Illinois Open Space Land Acquisition and Development program. Columbia’s money will be used to develop Creekside Park, which is located off Rueck Road. It has long been a goal of the city to develop this parcel of land as a recreational area, as that is the part of town experiencing the greatest rate of residential growth.